The investigation continues into the death of a man inside a Falmouth home heavily damaged by fire Saturday. 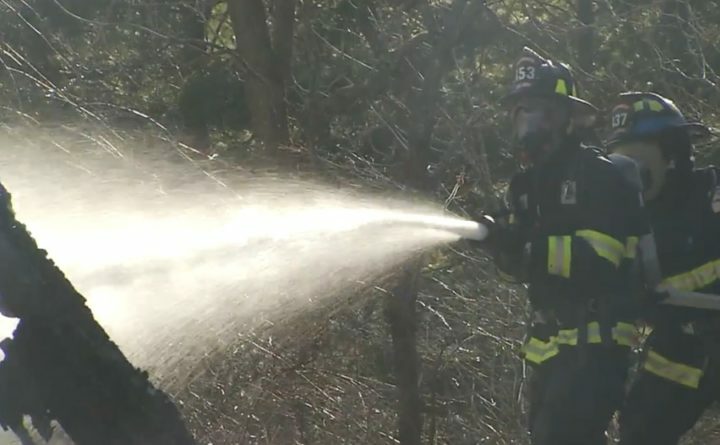 FALMOUTH, Maine — A man died Saturday night after a fire ripped through a Falmouth home. Falmouth fire Chief Howard Rice Jr. said a passerby saw a car on fire inside the garage at 27 Gray Road and called 911 around 5 p.m. Saturday. Rice said the fire likely started in the garage. Rice said his fire crew got the flames under control in about 30 minutes, and there were working smoke detectors inside the home. He said his crew had trouble getting to the scene at first, but they got help from the Portland Fire Department. Rice said a man in his 70s was found dead inside the house. No other injuries were reported. The Maine fire marshal’s office said the car that caught fire will be brought to Augusta for inspection. The Maine Turnpike Authority closed Exit 53 near the fire scene for about an hour.